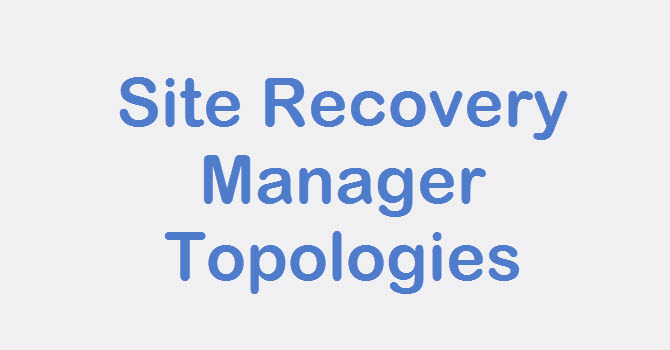 In this post we will see on How to configure VM replication in the newer Site Recovery Manager UI. 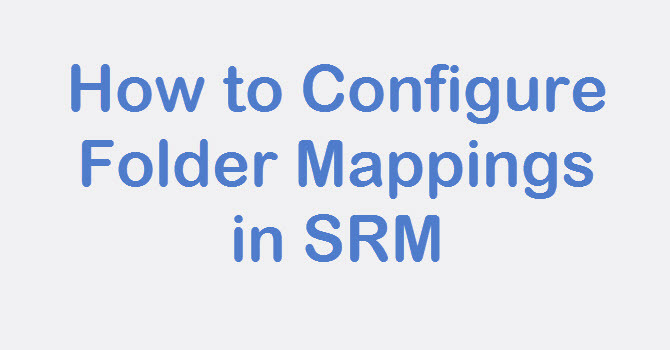 If you have used older version of SRM such as below 8.0 versions then there is slightly different process for configuring VM replication. 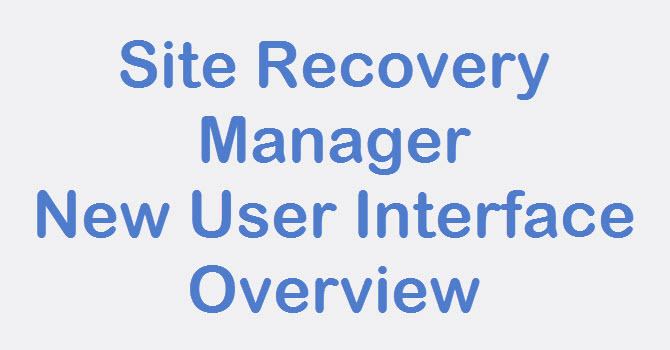 In the newer version of SRM 8.0 you just have to access the Site Recovery option in the vSphere web client and from there you can perform all the disaster recovery related tasks such as configuring protection groups, configuring recovery plans and as well as you can configure VM replication yes that is now integrated with the newer UI. 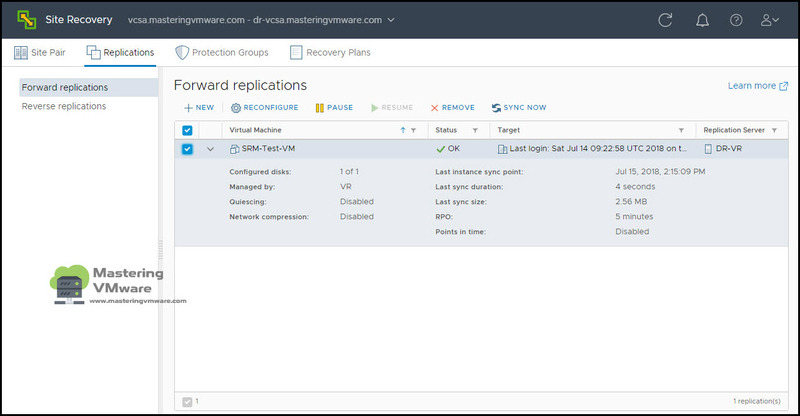 In the newer configuration replication is easily configured by specifying either you want to configure forward replication (From DC to DR) or reverse replication (From DR to DC.) In this post we will see on how you can configure VM Replication step by step. 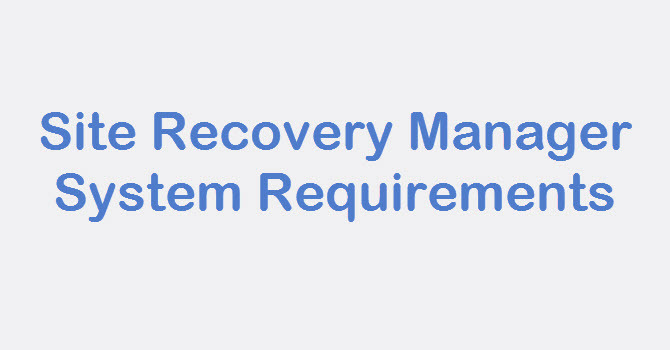 Before doing recovery of the VM at the recovery site VM needs to be replicated at the recovery site so that you can perform disaster recovery of the VM. Click NEW to configure new VM replication. Select the Virtual Machines from the List you want to replication. 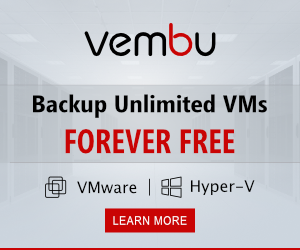 You can choose single or multiple VM based on your requirement. Specify the Target site where you want to replicate your virtual machine. 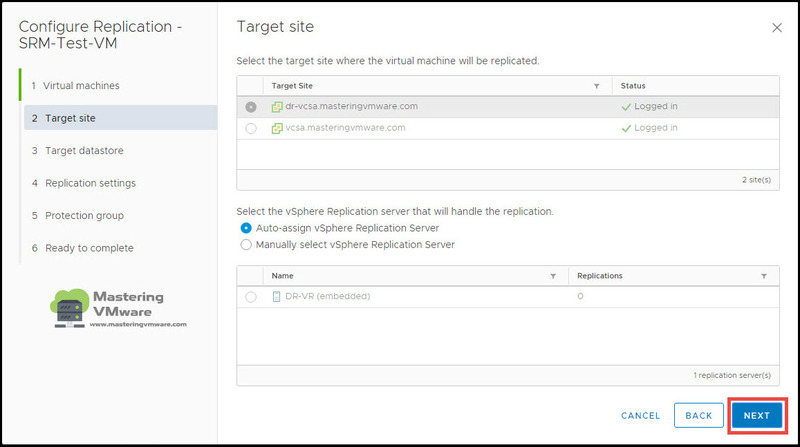 Additionally if you have multiple replication servers then you can choose from below or simply select Auto-Assign vSphere Replication Server. 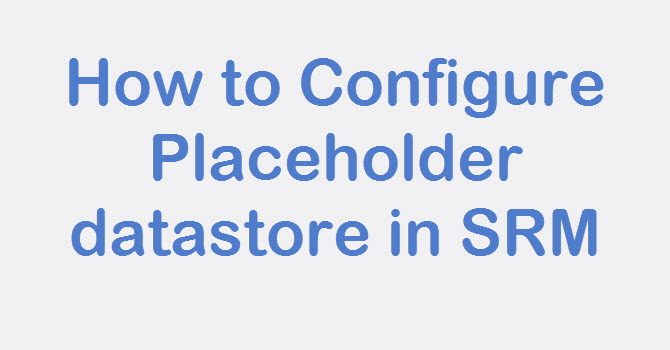 Select the Target datastore where you want to store your VM replicated data. Additionally you can also specify Disk format and VM storage policy for your VM data. 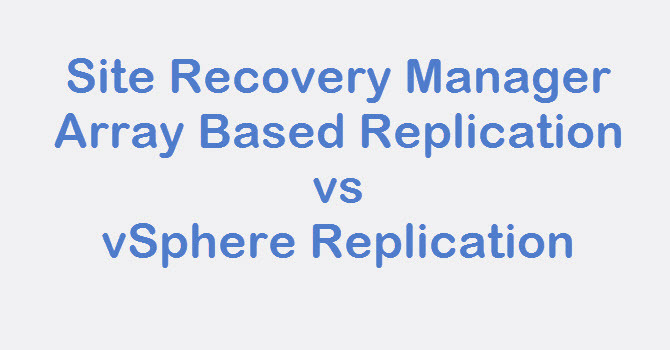 Specify the RPO , So after specified time VM will start the replication of new data. You can also Enable Point in Time instances and Guest OS quiescing based on your environment and requirement. Here you can specify Protection Group so that you can add that VM into the Protection Group. 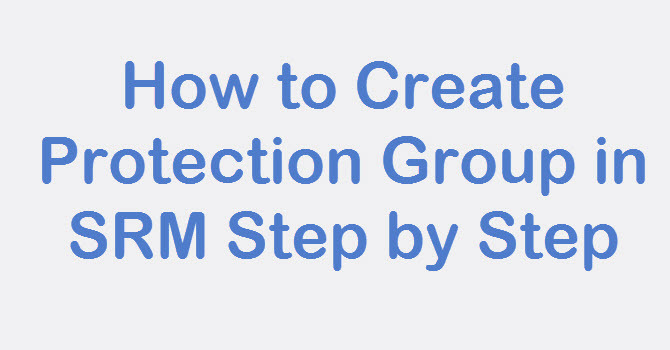 We will see Creating of Protection group and adding VM to protection group in the next posts. 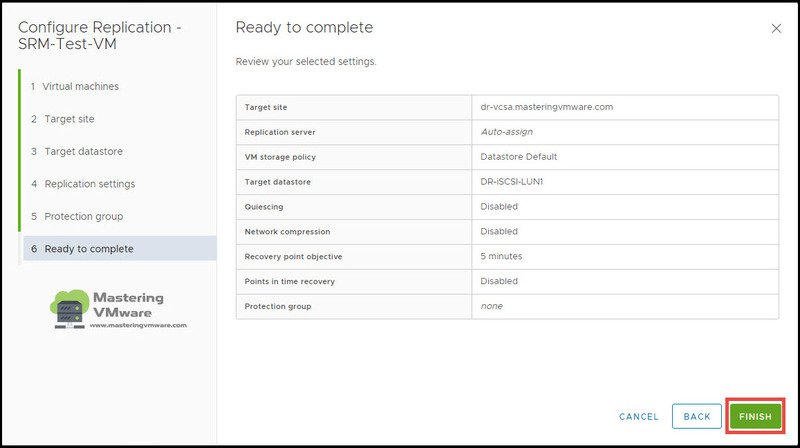 Review the VM replication configuration. Click Finish to start the replication. As you can see that VM replication is started and it can take time based on the size of the VM and availability of the network between the sites. Once the Replication is completed you can see the OK in the status. You can also see additional details such as configure disks, last sync size, last sync duration etc. 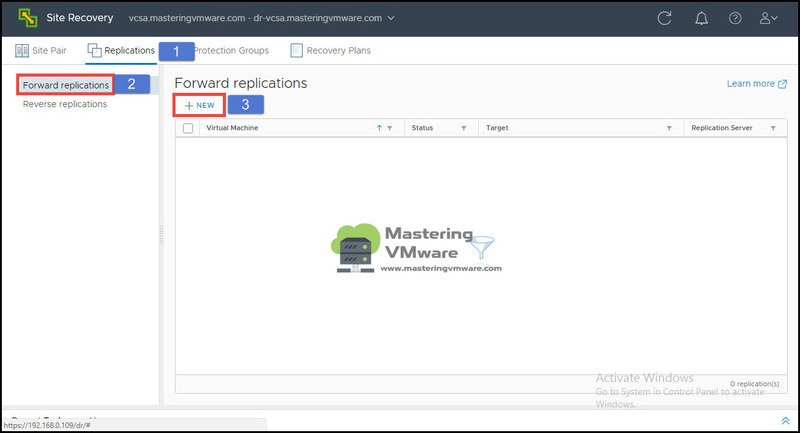 From this page you can manage the VMs Replication tasks such as Configuring New replication, Reconfigure existing replication, Pause and remove the replication. If you want to manually sync then you can click on “SYNC NOW” to sync the VM. That’s it, Using this way you can easily configure VM replication in your environment easily.